The election is a fundraiser costing $1 per vote and brought in more than $7,000 to the Omena Historical Society. Politics in a small northern Michigan village have gone to the cats and dogs and goats and even chickens. 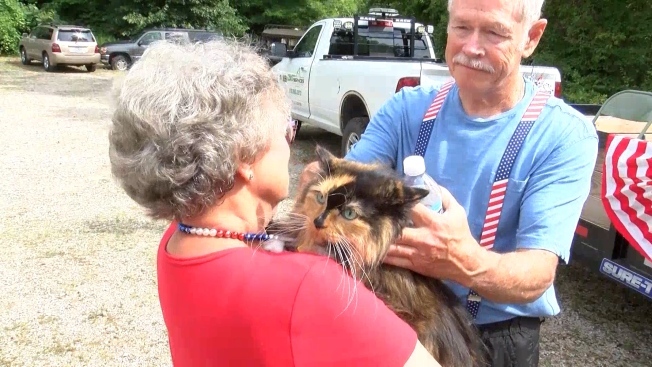 Omena's newly elected mayor is a feline named Sweet Tart. Dogs Diablo Shapiro and Punkin Anderson Harder are vice mayor and second vice mayor. "Because of our internet reach and because of our publicity and because of the ability to receive votes from PayPal, it's really expanded the number of people that have participated," said Keith Disselkoen, president of the historical society. Sweet Tart did not comment when a reporter asked what plans it has for Omena.